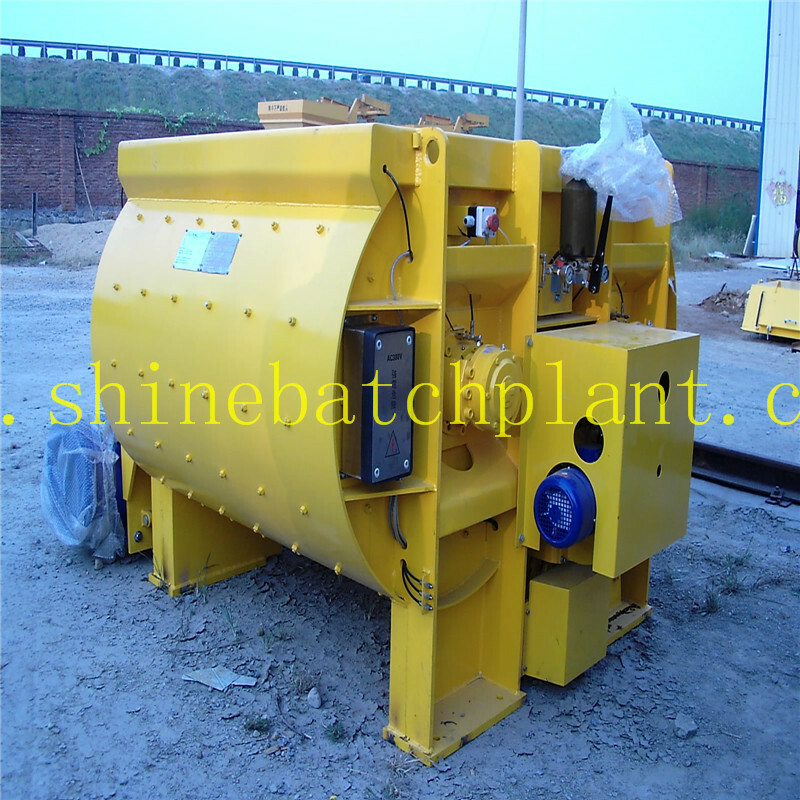 This concrete mixer has seasonable structure and easy operation. 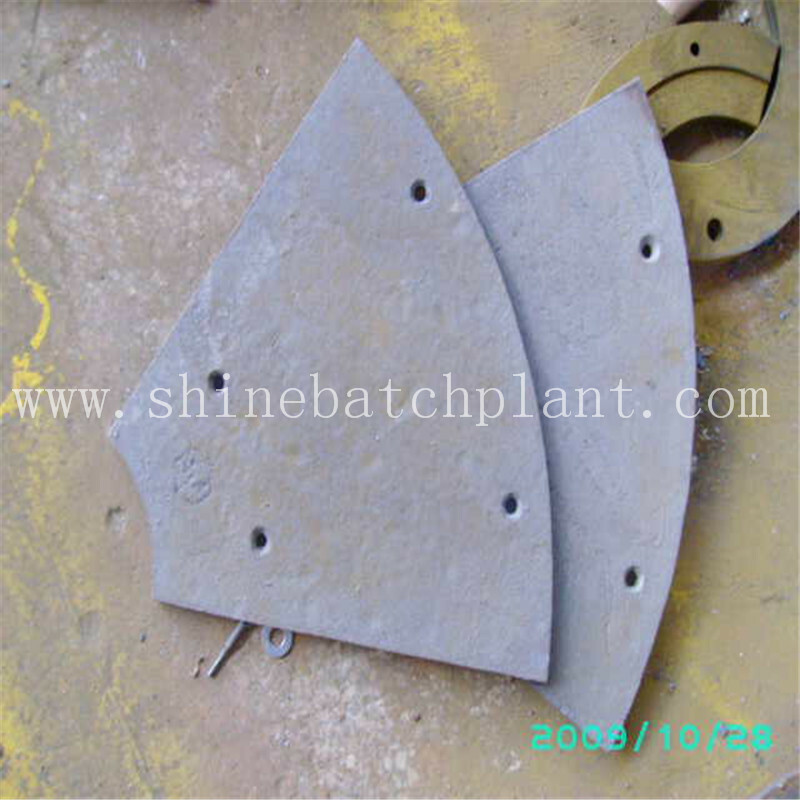 Twin shafts with arms screwed ensure shorter mixing time but higher evenness. 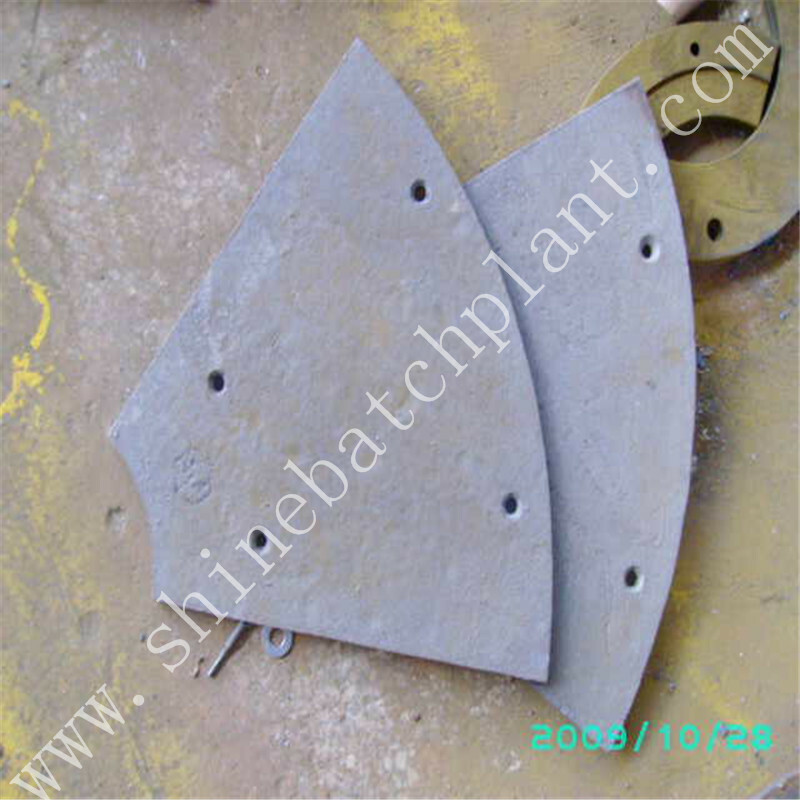 High wear-resistant chromium-manganese alloys plates and blades. 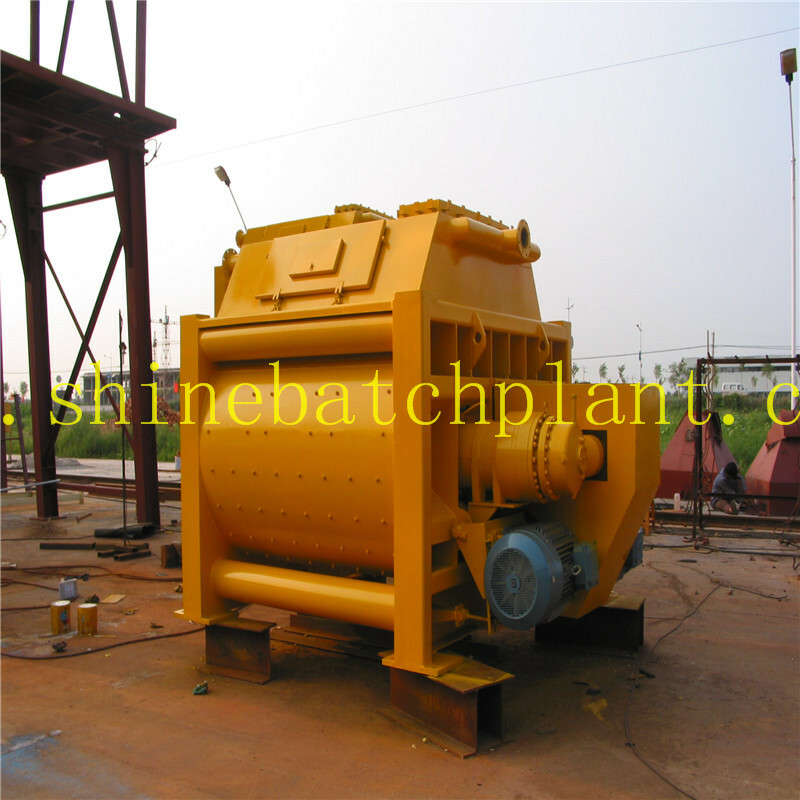 Pneumatic discharge/manual discharging for options, adjustable pneumatic discharging door. 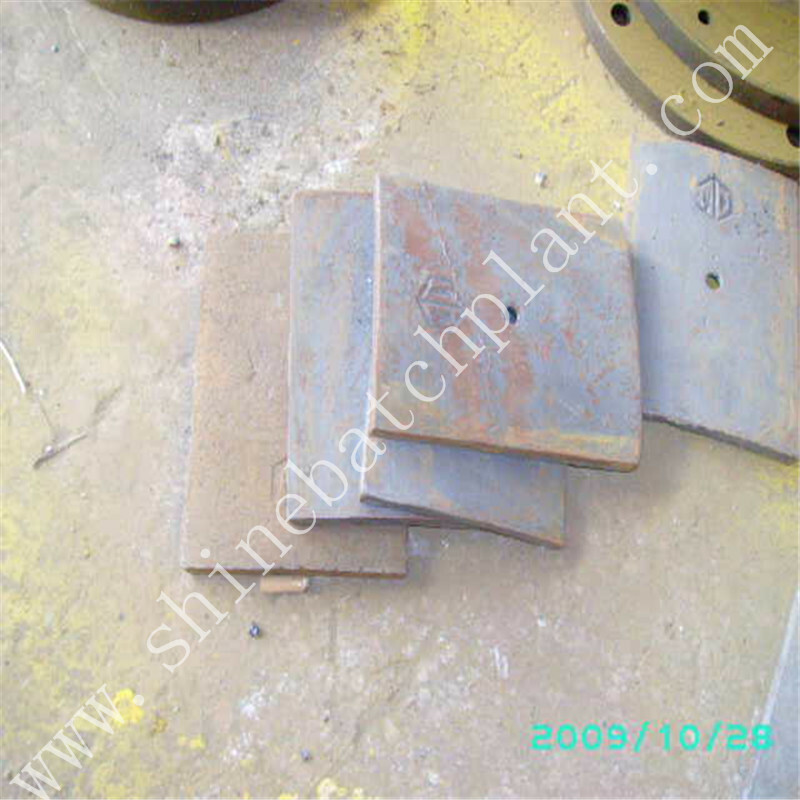 Total weight in 4 ton with manganese steel material. 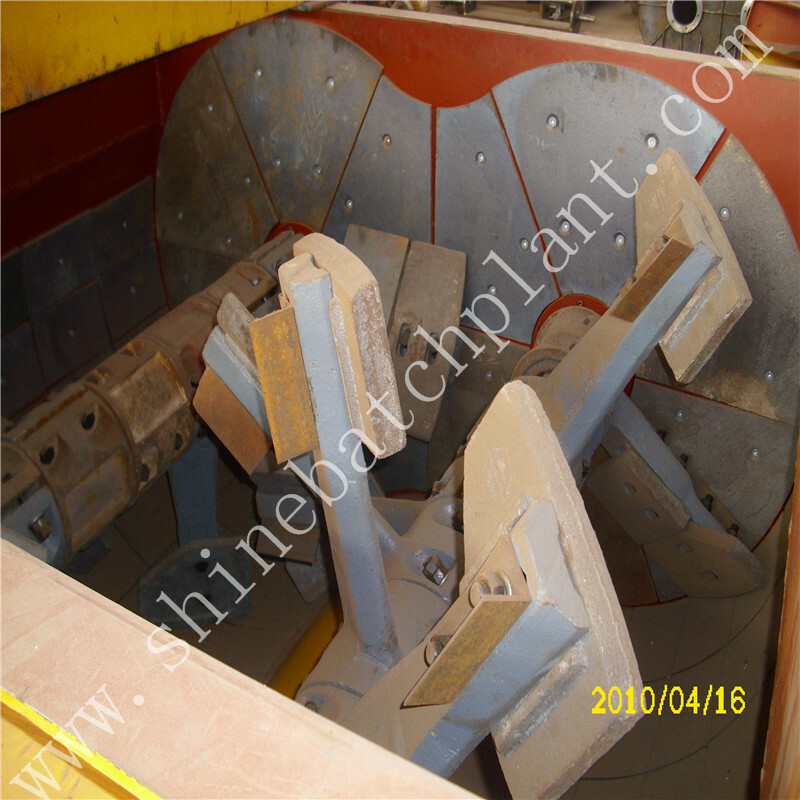 Discharge height 1.5m/2m/2.7m/3.8m optional and individual design. Motor and speed reducer are China famous brand. Full copper motors, stable, durable, low-noise and environmental. 7 pieces mixing blades for each shaft. 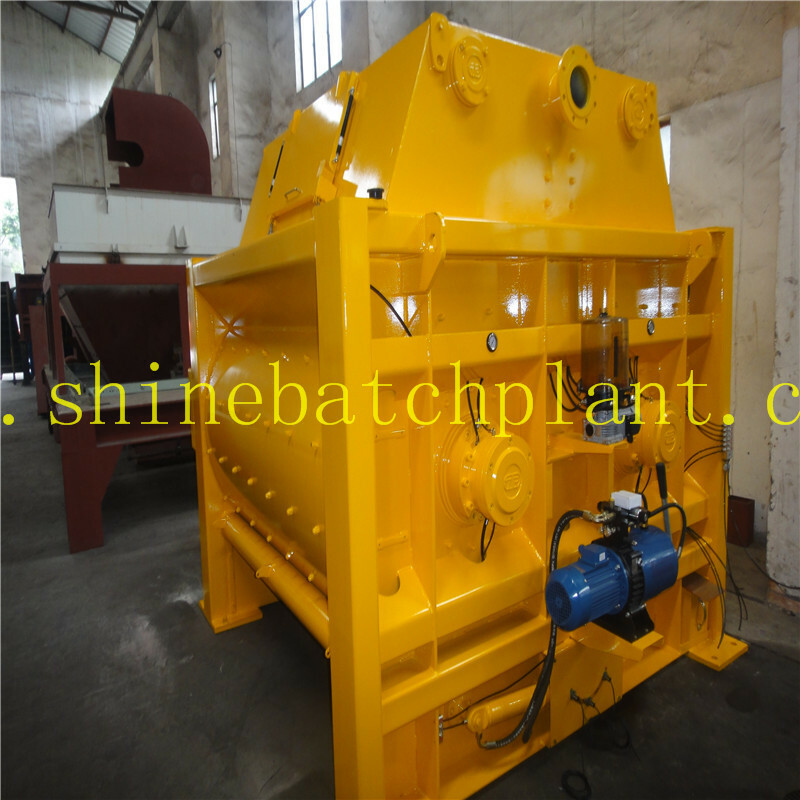 This concrete mixer works not only for Concrete Batching Plant but stationery concrete mix plant. 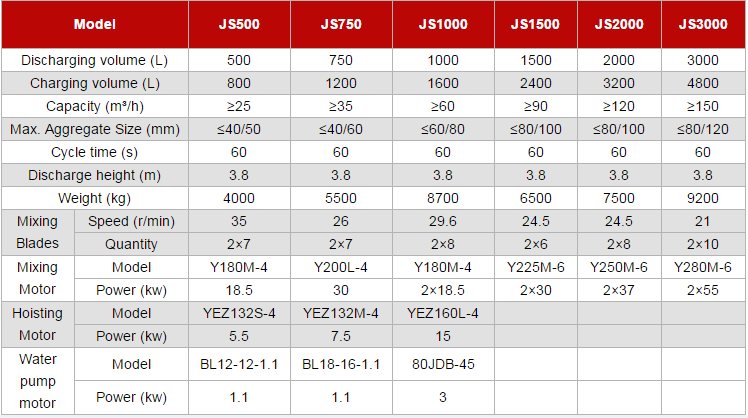 Looking for ideal JS500 Concrete Mixer Machine Manufacturer & supplier ? We have a wide selection at great prices to help you get creative. 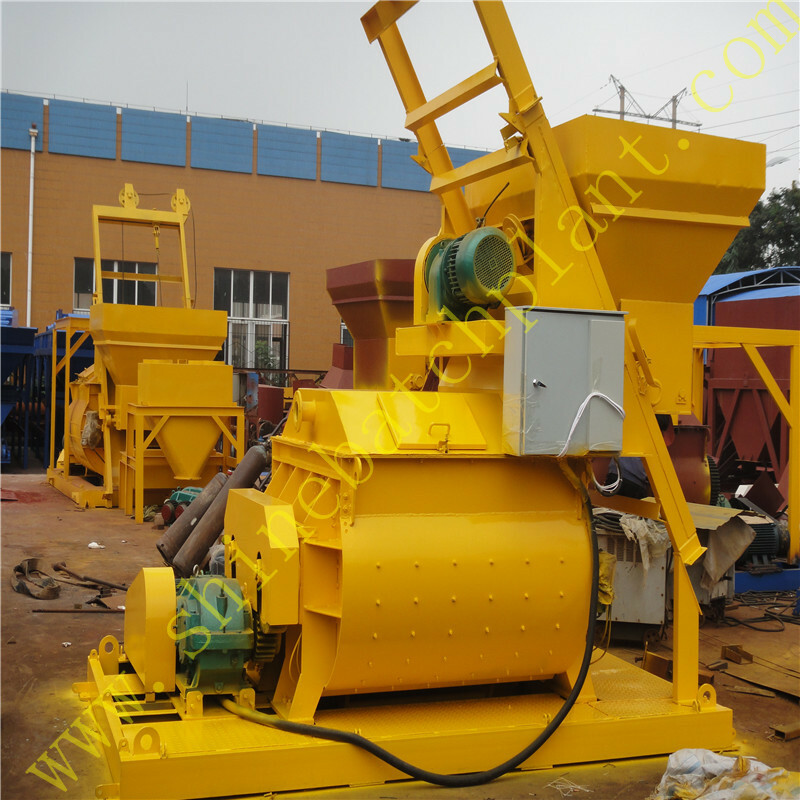 All the Double Shaft Concrete Mixer are quality guaranteed. 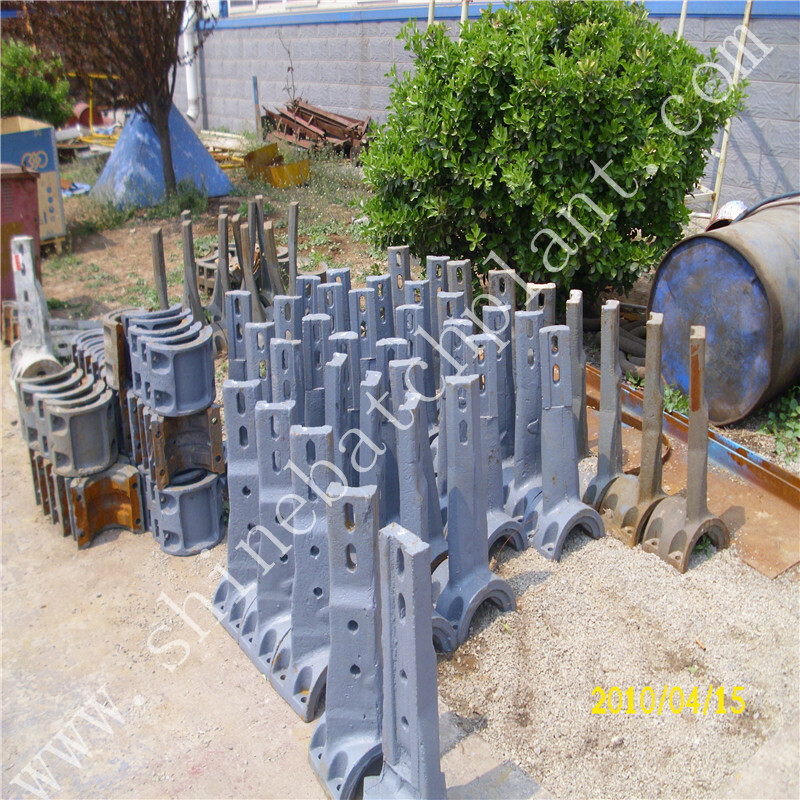 We are China Origin Factory of Concrete Mixer With Twin Shaft. If you have any question, please feel free to contact us.